The government is aiming to increase the productivity of the industry's enterprises by 1.8 times in order to return to the pre-crisis level of 2014. 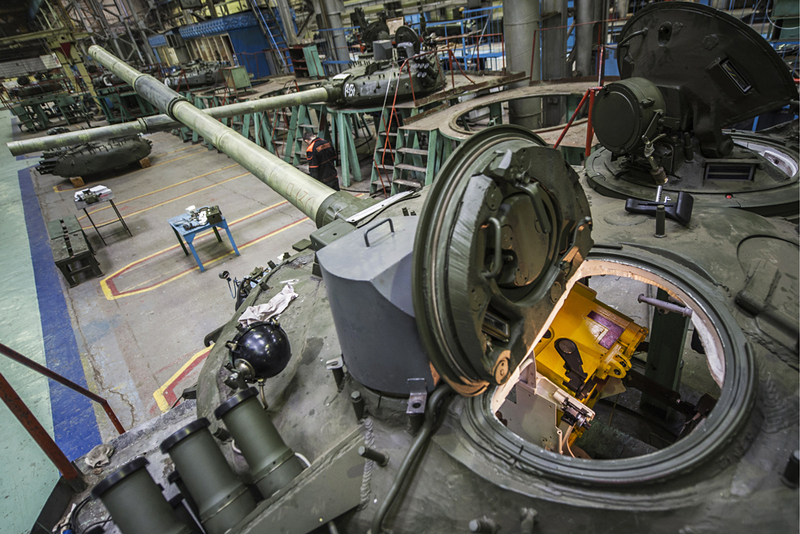 The Russian government has confirmed a modernization program for the country's defense industry in order to strengthen the position of Russian products on the world market. The country’s military experts say that the resources are necessary to buy machines and produce components that Russia used to buy from its partners abroad. Russian experts have denied that the Kremlin’s allotment of an additional 35 billion rubles ($533 million) for defense means that the country is entering a new arms race. The additional funds for the Development of the Defense Industry Program will mostly go towards compensating the industry for the losses related to the Western sanctions against Russia and the necessity of having to start producing its own components. The resources will also be destined toward augmenting the annual share of innovation production from 34.4 percent in 2016 to 39.6 percent in 2020. Salaries for industry workers are also planned to increase by 1.8 times. Why is the Kremlin boosting defense spending? According to Viktor Litovkin, a military expert for the TASS news agency, the crisis and Western sanctions against Russia have made it necessary for Moscow to modernize its defense industry. "Due to the sanctions, Russia's foreign partners can no longer supply it with a series of components for its defense technology. Before, we would receive ship and helicopter engines from Ukrainian enterprises, now we must produce everything ourselves," explained Litovkin. Should the world worry about Russiau2019s reformed military? In his words, the rearmament program, for which more than three trillion rubles ($45 billion) are being allotted in the 2010-2020 period, needs improvements because of today's reality. "Russia needs to buy additional machines in order to produce new elements, it needs to attract new specialists," said Litovkin. Igor Korotchenko, editor-in-chief of National Defense magazine, insisted that Russia is allotting the necessary and sufficient funds for its defense industry. "We do not aspire to start a new arms race and will not fall into this trap," he said.